Discovered and identified as the cause of mad cow disease only three decades ago, the prion is a protein molecule that, when misshapen in the brain, becomes fatal. Novel and controversial, prions have provoked a scientific revolution. They challenge the very foundations of biology: A disease-causing entity with no genetic material at all? A molecule capable of infecting, multiplying, and killing? 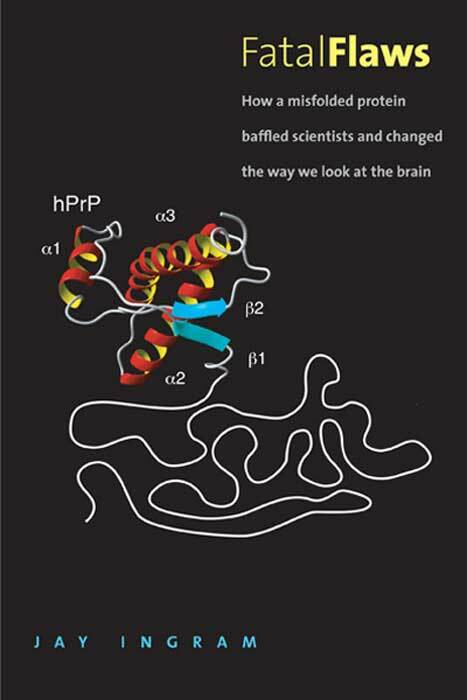 This book recounts the birth of prion science and the imaginative detective work scientists have undertaken as they struggle to find the answers to devastating brain diseases from mad cow and Creutzfeldt-Jakob disease to Parkinson’s, Alzheimer’s, Lou Gehrig’s, and others. As in each of his best-selling books, Jay Ingram here makes complex scientific concepts accessible and shows how little-known events may have profound significance. He describes the development of prion science as a rough-and-tumble affair, with rivals, eccentrics, interfering governments, and brilliantly creative people all playing salient roles. Weaving biology, medicine, human tragedy, discovery, and bitter scientific competition into his account, he reveals the stunning potential of prion science, whose discoveries may unlock the answers to some of humankind’s most destructive diseases.